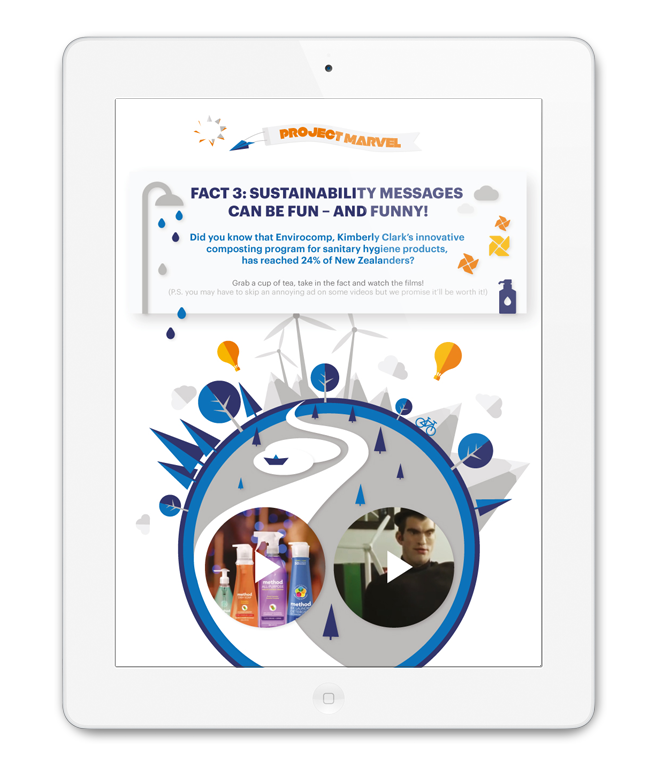 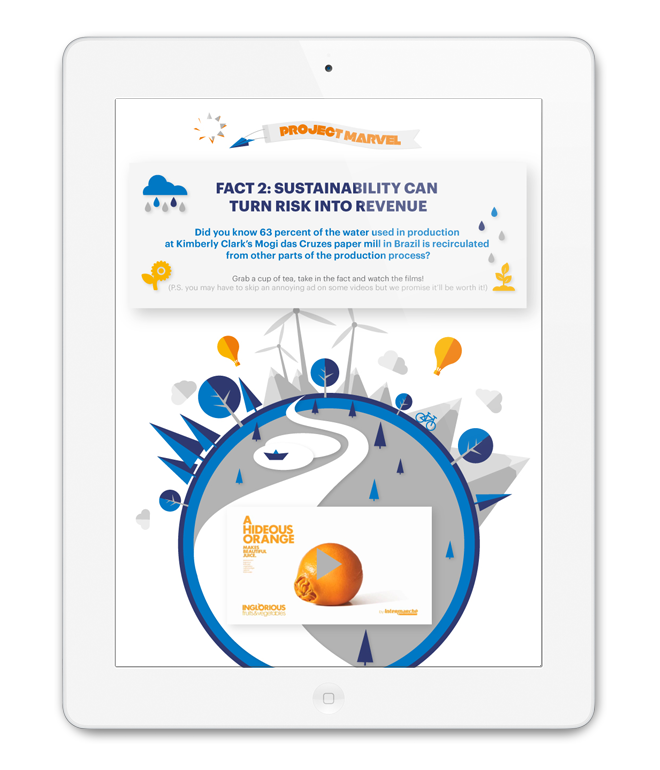 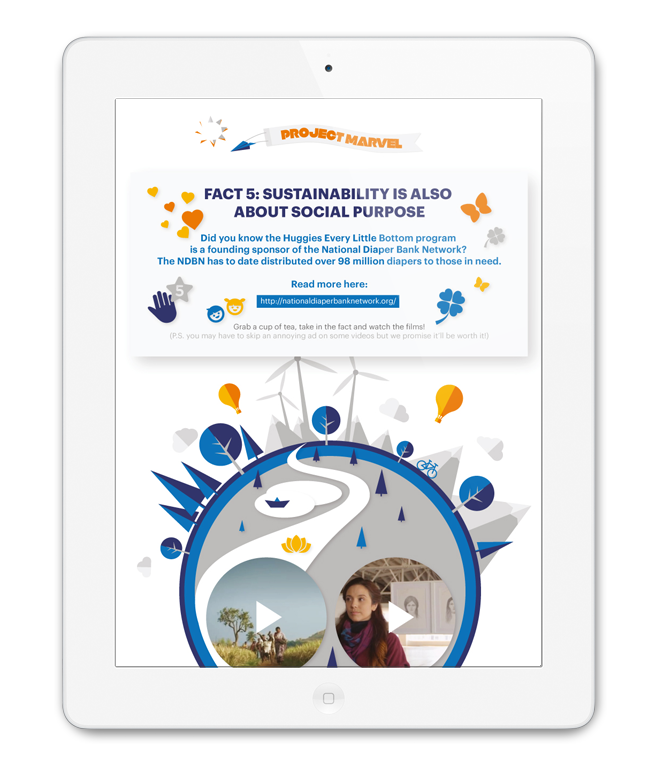 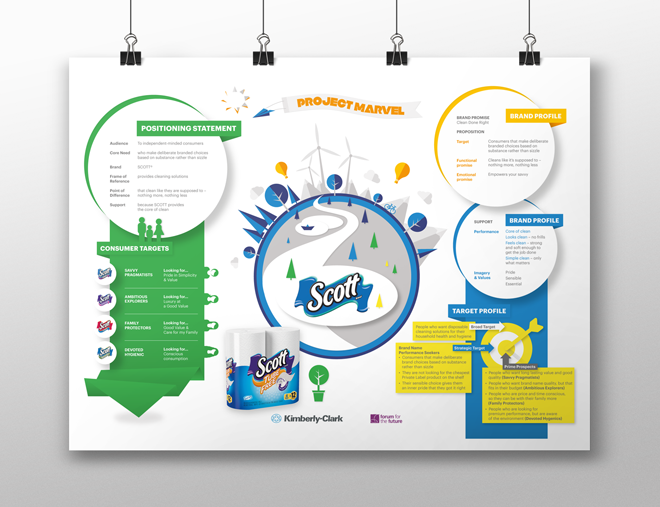 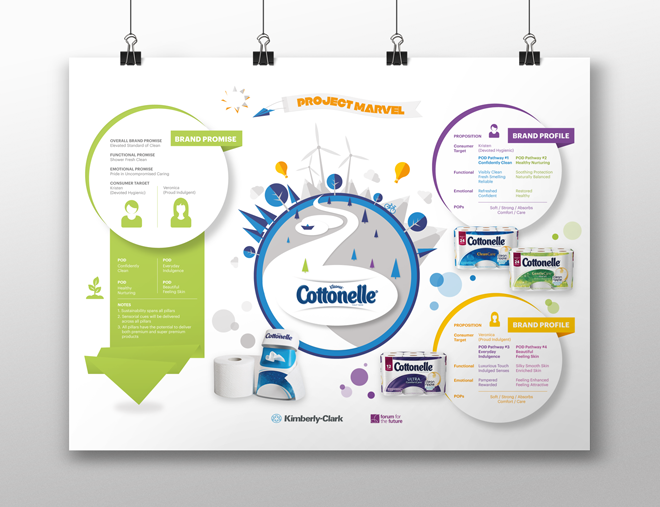 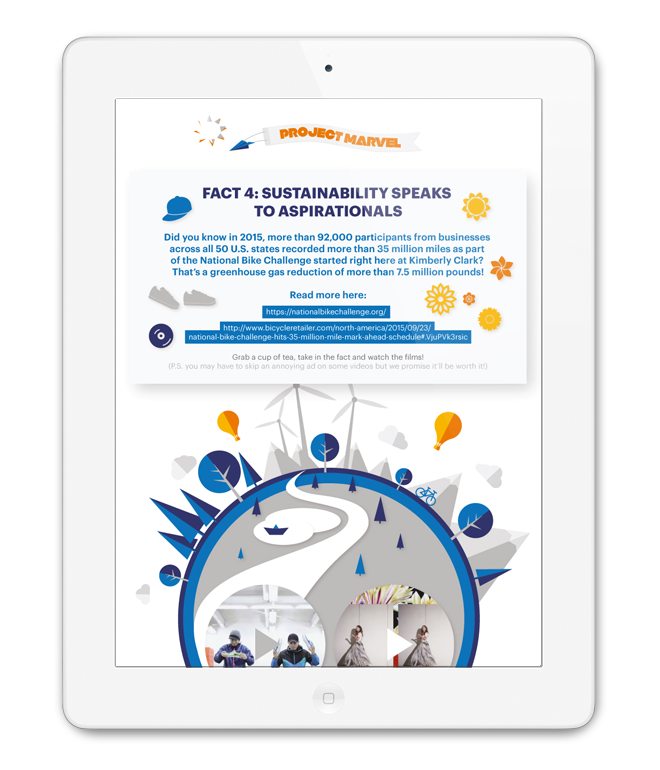 How Kimberly Clark can harness sustainability for brand success. 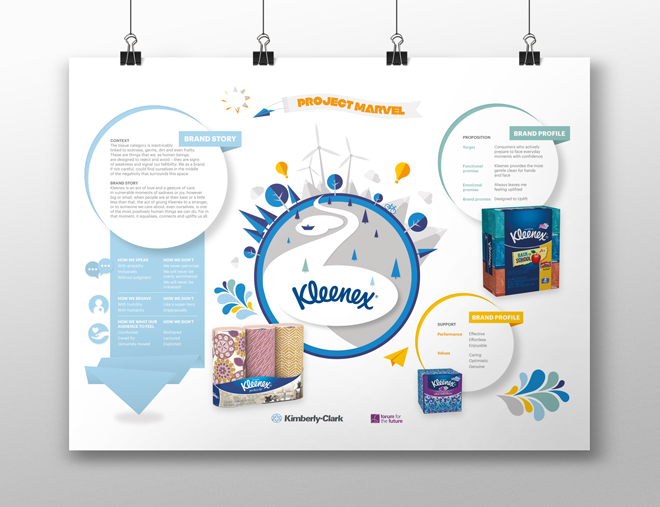 The primary aim of Project Marvel was to inspire, engage and equip the Kimberly-Clark family care team with the commercial opportunities afforded by sustainability and use this understanding to generate sustainability messages at Kimberly-Clark, Family Care and Brand level. 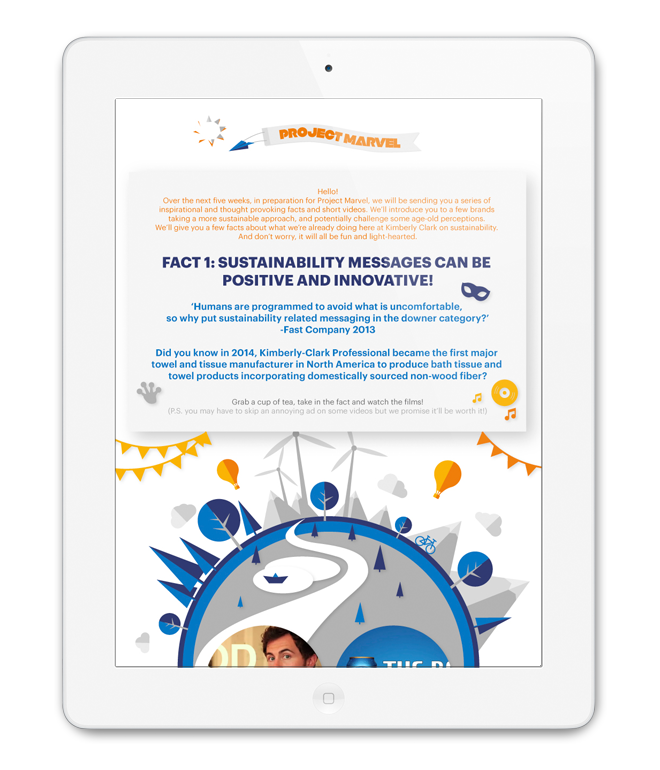 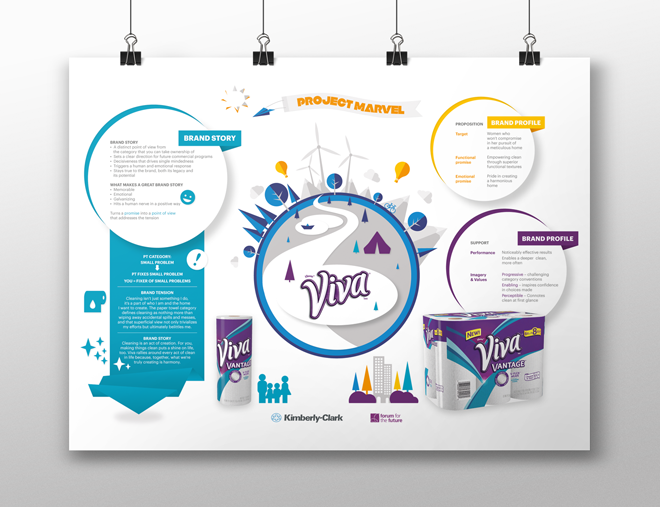 To full fill this objectives and successful workshop which could engage Kimberly-Clark North American team, Forum for the Future requested marketing materials: 5 weekly newsletter and 4 info graphic posters.